The OPMCM had instructed the Energy Ministry to bring a proposal about handing the project to CGGC. Energy Minister Barsha Man Pun accordingly took a proposal to the Friday’s Cabinet meeting. The then Pushpa Kamal Dahal government on May 23, 2017, when Janardan Sharma was energy minister, had decided to award the project to CGGC under the engineering, procurement, construction and finance (EPCF) model without a bidding process. The subsequent Sher Bahadur Deuba government on November 13, 2017 had revoked the decision to award the contract to CGGC. 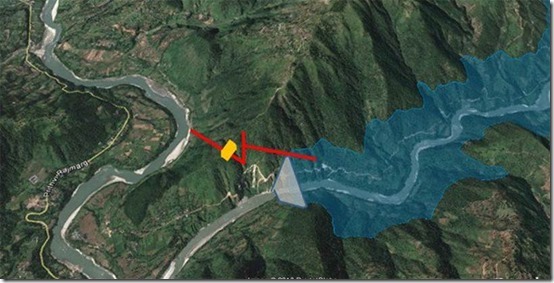 It then decided to award the project to the Nepal Electricity Authority (NEA). RwB Comment: Despite the projects obvious advantages (proximity to the load centers, proximity to roads, lack of fierce local opposition ) it looks really dodgy, likely already tainted by corruption and fraud. Infamous Tractebel Engineering, which was the key supervisor of that very dam that washed away 15 villages in Laos this fall, quite arbitrarily doubled capacity of the old power station project, since at its conventionally agreed 600MW it did not show good economic prospects. The project will likely result in huge cost and time overruns and is highly prone to underperformance once set in operation more than a decade from now. Environmental impacts on endangered species migration, fish stocks and downstream ecosystems, including national park have not been properly studied and thus will not be mitigated. most worrying that Nepal has not subjected its hydropower plans to thorough objective strategic analysis of alternatives. Current trade war happening in BRI context makes the project an easy victim of any political changes and rivalries, domestic or international. Quite likely that project will be soon stalled again for reasons even unrelated to its questionable technical merits.